Fatbergs are giant congealed masses of grease, oil and other detritus improperly flushed into city sewers. 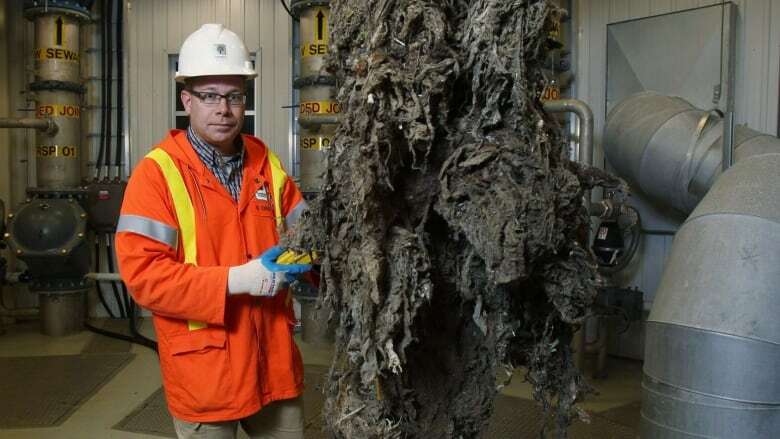 A program in London, Ont., aims to educated people on how to properly dispose of fatberg-feeding materials to prevent damage to the city's underground infrastructure. Originally published on May 1, 2018. 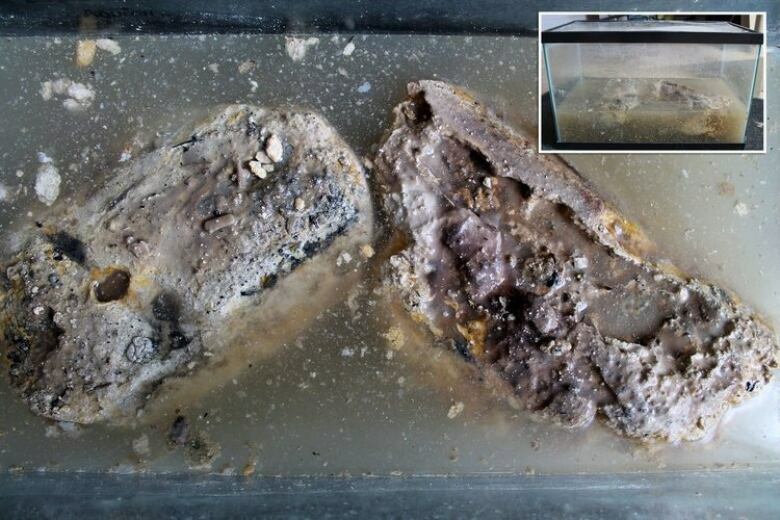 Fatbergs develop in city sewer systems when fat and grease harden and adhere to the inside walls of the tunnels. 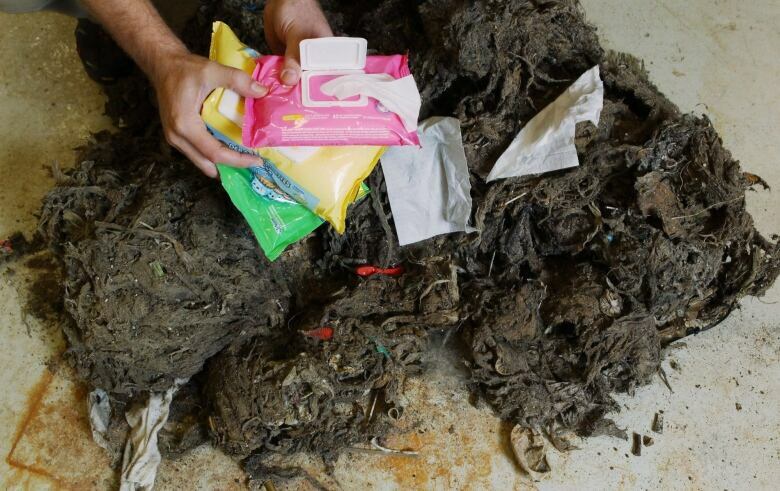 When other materials like baby wipes, tampons, condoms and diapers are added, they stick to the congealed grease blob, and grow. Repairs to damaged infrastructure can cost municipalities a lot of money, but Orr also points to the environmental cost of fatbergs. "If you have raw sewage bubbling up through the manholes getting into the storm drains, that's going directly into our creeks and rivers," said Orr. "This is what really concerns me, because I see so many of these products that should never be flushed now entering our natural environment." The consequence of clogged sewers can also lead to flooded basements and roads, interruption of water supply and soaring insurance rates, according to Orr. In 2008, the sewers in London, Ont., suffered a 40 per cent blockage related to fat and grease. 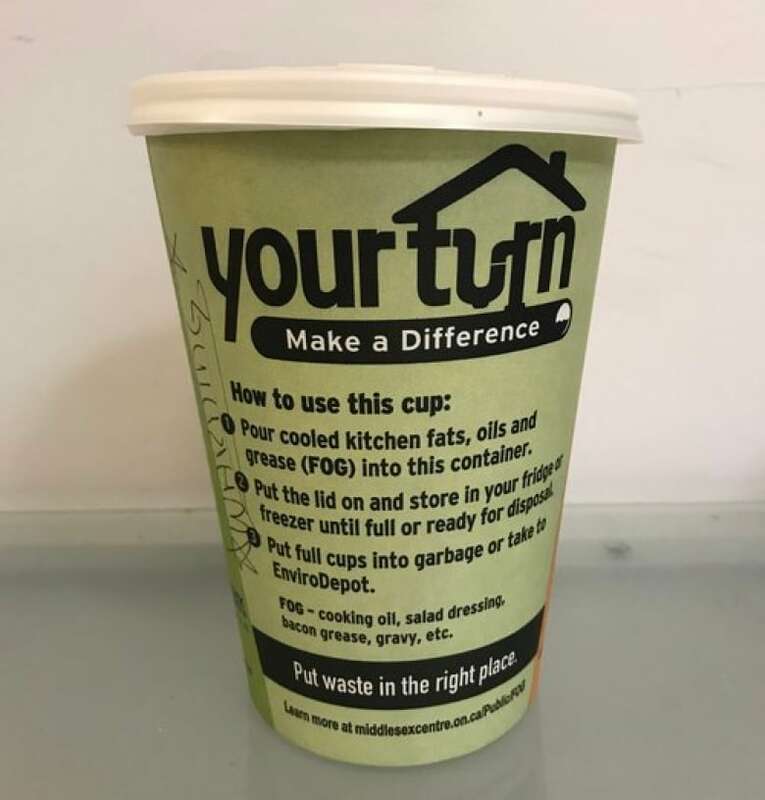 Orr, also known as Captain FOG (an acronym for fat, oil and grease) helped to implement the Your Turn program, which provides households with biodegradable cups to properly dispose of their own FOG. "We're saving hundreds of thousands of dollars a year here in London and we haven't had a blockage related to fats, oils and grease in over four years," Orr said. The cup is degradable in a commercial composting facility, Orr explained. He said they have handed out 100,000 cups to date. The program also introduced the value of collecting the fats, oils and grease to help produce methane gas that would in turn be used to create clean electricity for the grid, Orr said. The program has so far collected 6,000 kg of FOG waste from households alone, he said. The city introduced a similar program and awareness campaign called WIPE (Washing Initiative to Protect our Environment) directed at restaurants and businesses. Orr said after it was implemented, the city "instantaneously" saw an improvement in their sewer lines. Fatbergs are piquing the interest of Londoners on the other side of the Atlantic Ocean. British TV's Channel 4 brought together a team of scientists to dig into the city's notorious fatberg, conducting an autopsy of sorts to find out exactly what they're composed of in disgusting detail. The fatberg, known as The Beast, was discovered in Whitechapel, in the east end of London, England, said Pachebat. It weighed 130 tonnes and measured 250 metres long. "It was almost as long as London bridge itself," said Justin Pachebat, one of the scientists behind the study. "There were I think three tonnes of fat in the actual room. We only analyzed probably about five kilos of fat for our samples. So there's lots and lots more to analyze," he said. 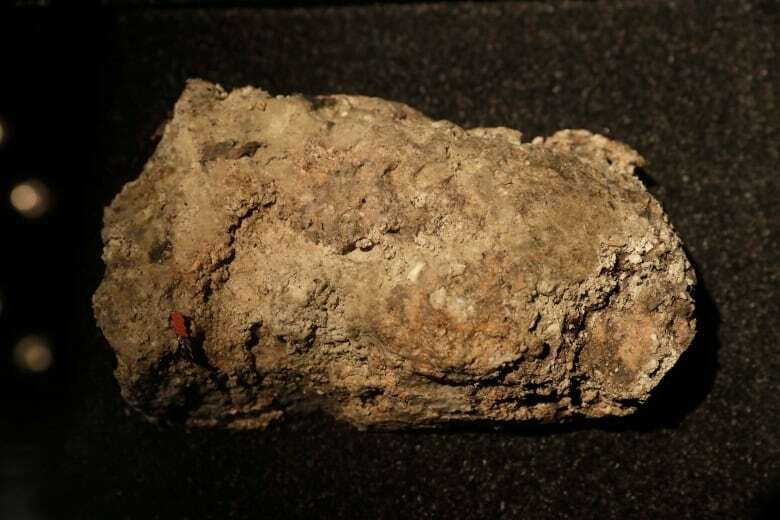 To get the fatberg for the autopsy, workers chipped away at the beast with tools, broke it up and put large lumps into sacks to be pulled up out of the manhole covers. Listen the full conversation near the top of this page, which includes Scott Lewis of BIOX on manufacturing biodiesel as a growing industry in Canada. This segment was produced by The Current's Jessica Linzey and Vancouver network producer Anne Penman.